With less than a minute left in the third quarter Friday night, the Vivint Smart Home Arena faithful got what they wanted — Gordon Hayward switched onto Donovan Mitchell out on the perimeter. The crowd rose in anticipation as the second-year guard recognized the potentially momentous moment — the Jazz’s past matched up against its present and future. Mitchell surveyed the scene, then headed for the hoop. 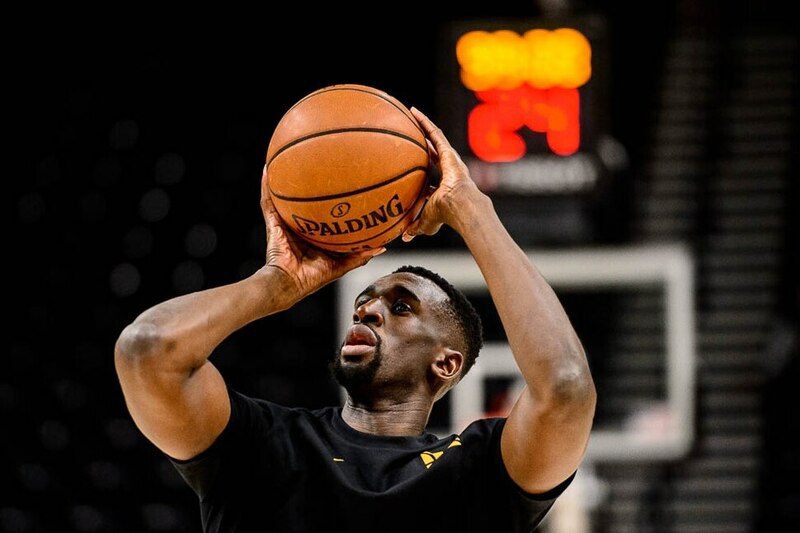 His Celtics defender managed to stay between him and the basket, forcing Mitchell to loft up a left-to-right, drifting, floating fadeaway, which dropped right through the net. Utah’s new favorite son got the better of its former one on the play, which proved both cosmic and microcosmic, as the Jazz went on to defeat the Celtics 123-115 in Hayward’s first game back in Utah since leaving the team in free agency on July 4, 2017. Hayward’s replacement in the starting lineup, Joe Ingles, rode a scorching 20-point first half to a 27-point game, to go along with seven assists and five rebounds. Jae Crowder, the former Celtic who was traded away in favor of Hayward and Kyrie Irving (who missed the game for his grandfather’s memorial service) came off the bench to contribute 20 points, six rebounds, four assists, a game-saving 3-pointer, and countless moments of attitude and aggression. And Mitchell, the new face of the franchise, overcame a tough shooting night to finish with 21 points and five assists. It wasn’t easy, of course, as nothing seems to be this season for the Jazz. After rolling to a 20-point lead early in the third quarter, the offense bogged down, and Boston took advantage to steadily claw its way back to within four on several occasions, with just minutes to go in the game. The Jazz made enough plays down the stretch to hold on. Rudy Gobert came into contact with Jaylen Brown, but the refs ruled the block clean, and Mitchell alertly threw the ball downcourt to a streaking Crowder for the dunk. Crowder later took a pass from Ricky Rubio and nailed a wide-open corner 3. Mitchell and Gobert, both of whom have been struggling at the free-throw line of late, each calmly sank two freebies to finish things off. The 3-pointer from Crowder, in particular was a big deal — both for him and the team. 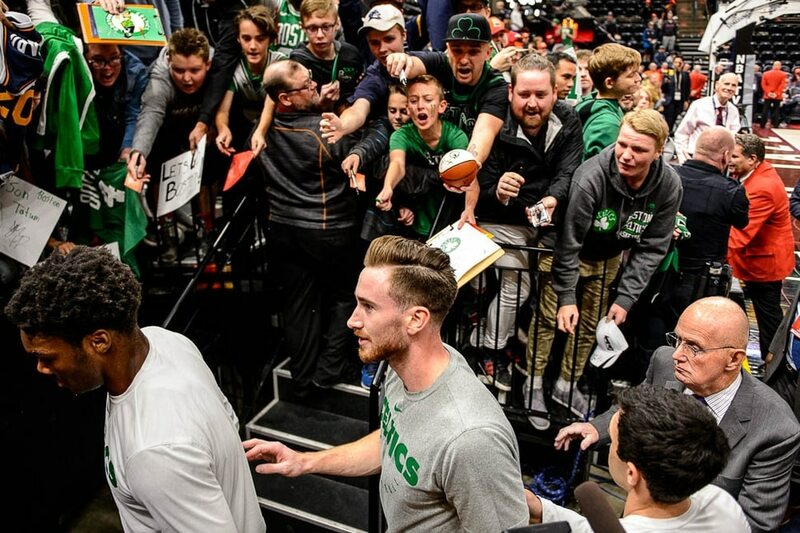 He spoke earlier in the week about the emotional impact of being in Boston two seasons ago and having the home crowd chant Hayward’s name in an early free-agency recruiting pitch. The chance to seal the game against the team that subsequently traded him was something he wanted to take advantage of. He didn’t deny he was trying to send a message with his play. Utah got plenty of big contributions from other sources, too. Gobert totaled 17 points, 15 rebounds, and two blocks. Rubio shot 7 of 13 for 17 points, and added seven assists and six rebounds. And after a scoreless first half, Derrick Favors scored seven quick points in a key stretch of the third quarter, and totaled 14 overall. Ingles, meanwhile, was glad to get the game out of the way. His offensive explosion in the opening 24 minutes — when he shot 8 for 9 overall and 4 of 5 from deep — certainly played a big role in quieting the peripheral noise, if not the actual loudness of the crowd. That’s what the Jazz said it was about all along. While coaches and players acknowledged that the return of Hayward — who finished with 13 points on 3-of-9 shooting in 26 minutes — was a big deal to fans and to media, Ingles expressed relief that the big-top tent of the Hayward Circus was finally coming down. He steadfastly insisted the game was about something bigger and broader: Two good teams going at it, trying to get a much-needed win. “We can hopefully move on with life. At the end of the day for us, it was Boston vs. the Jazz — it was nothing to do with one person, or whatever it was,” Ingles said. “I’m kinda glad I don’t have to answer any questions anymore; we can all move on, we can all enjoy or lives, and we’ll keep on playing. 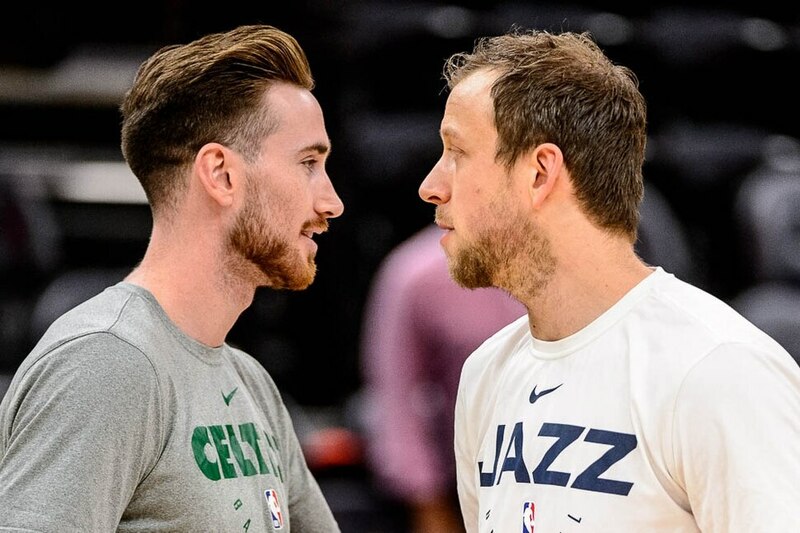 • Joe Ingles scores 27 points, Donovan Mitchell added 21, and Jae Crowder 20 as Utah wins in Gordon Hayward's return. • Hayward scores 13 points on 3-for-9 shooting in 26 minutes. • The Jazz improve to 6-6 on the season thanks to shooting 55.8 percent overall and 38.2 percent from deep.